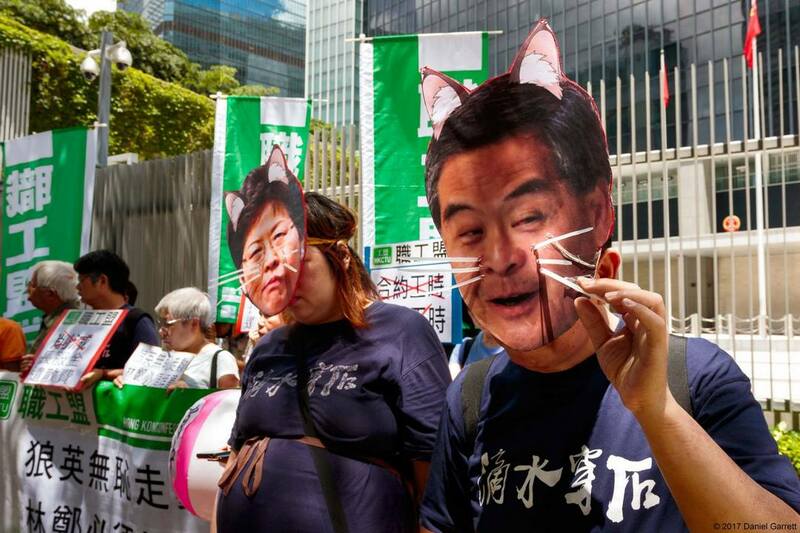 A labour group has criticised outgoing leader Leung Chun-ying for failing to keep his promises, such as setting standard working hours and scrapping the Mandatory Provident Fund (MPF) offsetting mechanism. 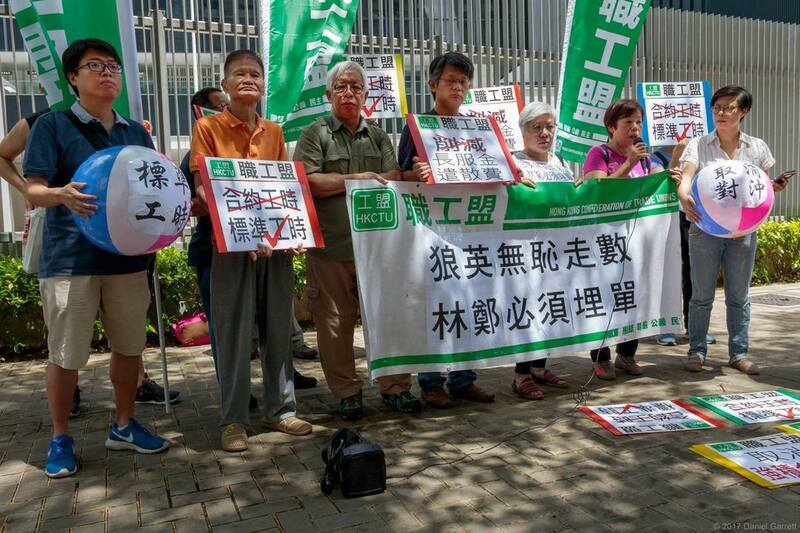 On Sunday, around a dozen members of labour alliance the Hong Kong Confederation of Trade Unions staged a protest outside the government’s headquarters. 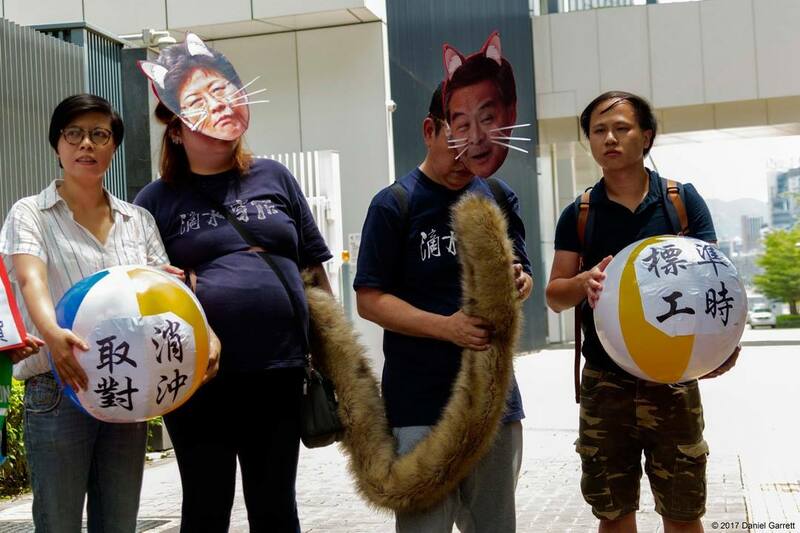 They criticised Leung for hastily pushing through an unsatisfactory plan to scrap the MPF offsetting mechanism less than a month before he leaves office. 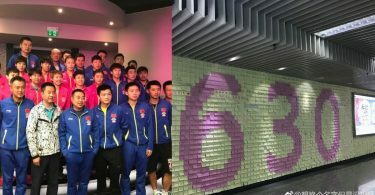 Labour rights groups and political parties have been demanding the arrangement be removed for several years. The controversial mechanism allows employers to make severance and long-service payments using workers’ MPF contributions and has been deemed a loophole. 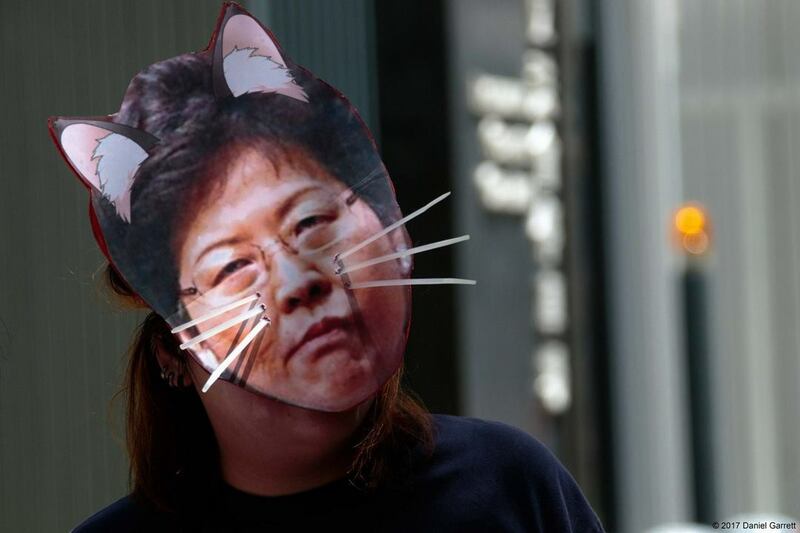 They also took aim at the government’s proposal on standard working hours released earlier this month, which requires employers to state working hours on contracts, but the scheme would only apply to workers earning HK$11,000 or less a month – a lower figure than the median monthly wage of HK$16,200 last year. 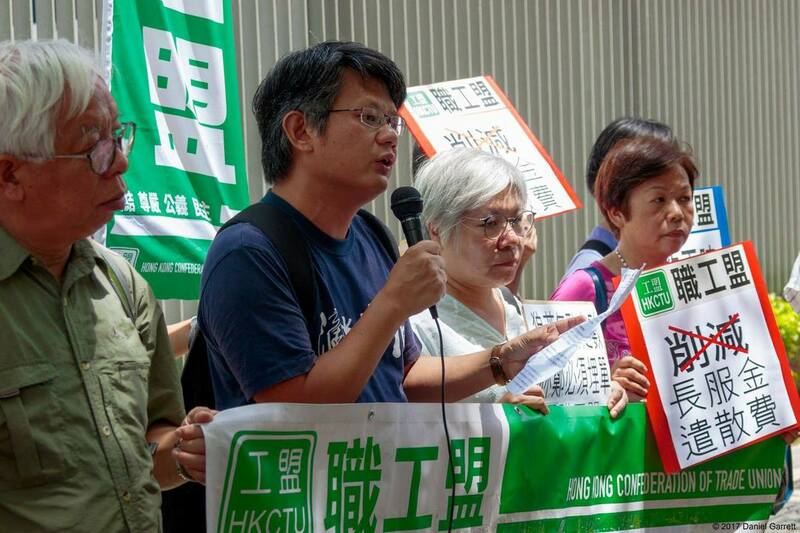 Chief Secretary Matthew Cheung admitted there was “a considerable distance” between the government’s proposal on overtime pay regulations and demands made by labour unions. 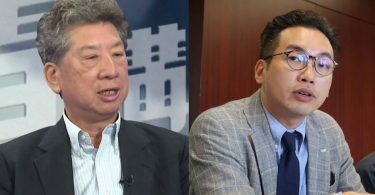 The confederation’s vice-chair Cheung Lai-ha described Leung’s proposals as “messy” and incapable of safeguarding the interests of labourers. 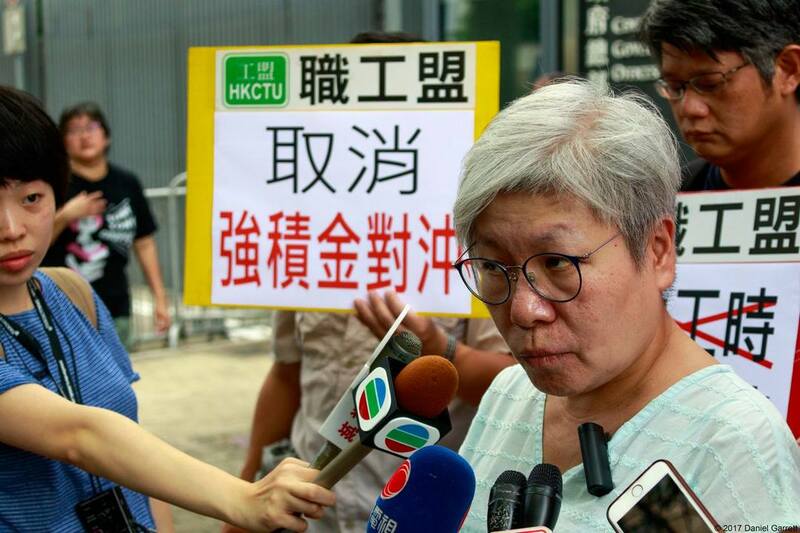 She expressed hope that incoming leader Carrie Lam will pass a law on standard working hours and implement a satisfactory plan on the removal of the MPF offsetting mechanism. 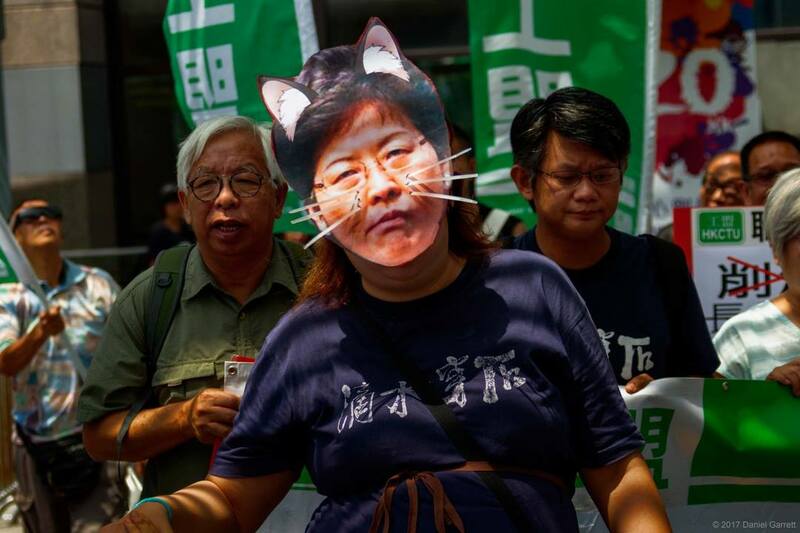 Two activists wore Leung and Lam “cat masks,” in a nod to a Cantonese expression where one party pits themselves against another. 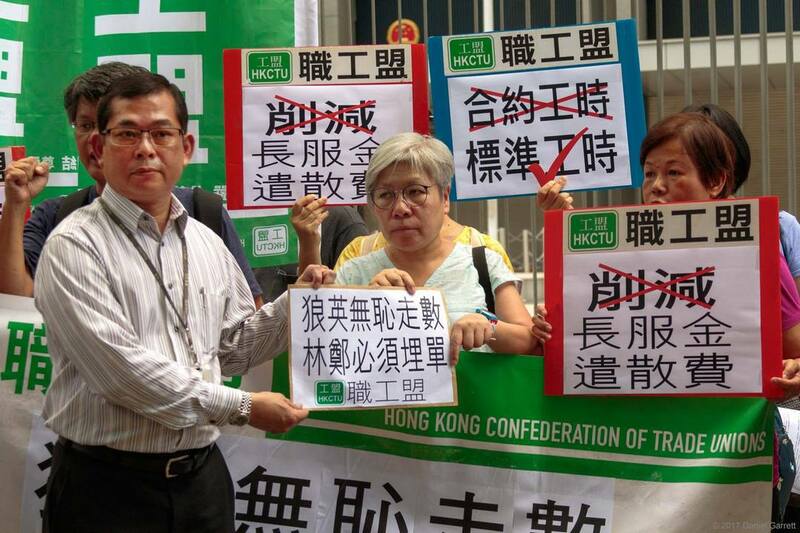 The Hong Kong Confederation of Trade Unions is one of the city’s largest labour union alliances.